Having lived in Colorado for two years during high school, I immediately proffered the notion of pushing eastward instead of up the northwestern coast. With a route agreed upon, one rental reserved, and a nearly loaded 2017 Nissan Pathfinder Platinum on deck as my own personal test mule, my wife, 4 year-old daughter, and I flew out to Los Angeles to kick-off our voyage. Upon procuring our Nissan SUV we immediately hit the best taco joint in Long Beach, and after smashing on a trio of Tux and Chucks bulgogi tacos, began our hike down to San Diego. We still had a couple days to kill before the fam arrived, and my wife was hellbent on checking out the city, eating some delicious seafood, and sipping on some local suds. 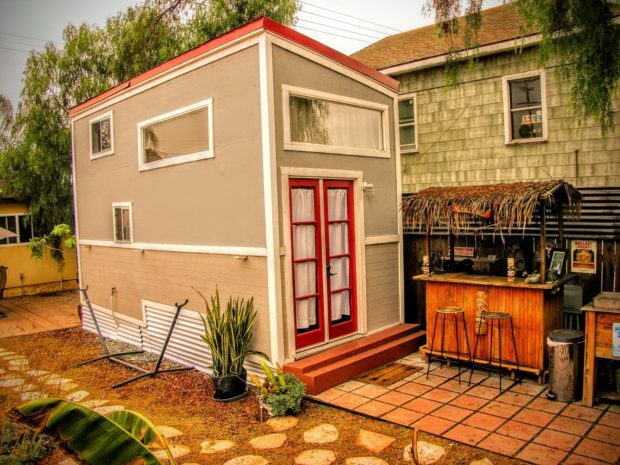 She had already procured a “tiny house” as our first AirBnB stay of the trip, and with its gardens, chickens, tiki bar, and armada of puppies, proved to be an ideal start to our ten day peregrination. Early the next day, we headed out to the local water park for some end-of-summer shenanigans, and along the way encountered one of the best gems in the city. Darkhorse Coffee and Skinny Donuts (its tasty vegan side project) are an absolute delight and deserve a visit if you’re ever in the area. With three locations located exclusively in San Diego, these caffeine hubs seem tailor-made to metalheads and artists alike, and the one closest to us happened to be housed in front of an old service station that had been turned into a badass barber shop. Things were already off on the right foot and our road trip hadn’t even started yet. 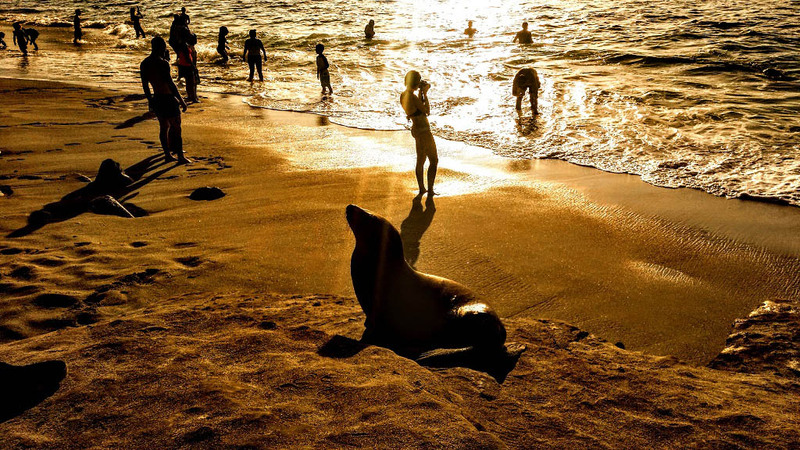 After splashing around for the better part of the day with a colony of sea lions we grabbed some seafood, an amazing 4-pack of mango IPA, and headed back to the hacienda. I have always liked San Diego, and with a miserable three days in LA ahead, dreaded the notion of leaving. The next morning we made our goodbyes, snagged one more round of donuts and coffee at Darkhorse, and hit the highway. 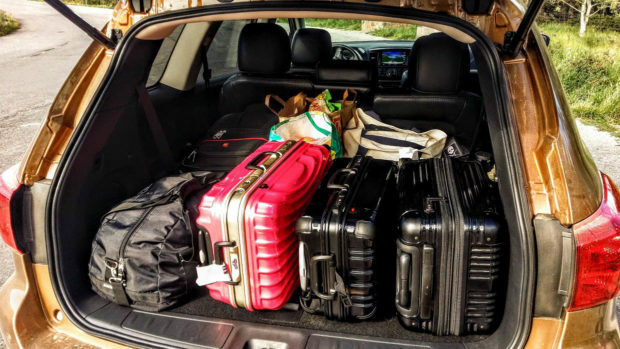 With wet clothes safely stowed in the Pathfinder’s hidden rear compartment, and an expected flight arrival of 3 pm on the books, it was time to get the in-laws, hit Venice Beach, and make a billion trips to the store for provisions. With the family safely accounted for and properly fed, we hunkered down at the Firestone Walker Brewery a few blocks away, preparing ourselves for the long voyage ahead with strong ale and appetizer alike. Skipping town not a moment too soon, we pushed east toward Vegas at the crack of dawn, and with lady luck on our side upon arrival, proceeded to win a few hundred bucks courtesy of a highly suggestive slot machine called “Open Kimono.” In true Vegas fashion we also ate a steak the size of Uzbekistan, observed oddball individuals along the strip, and explored the old side of the city, which is equal parts wonderful and forlorn. Early the next morning we departed for what unknowingly would become one of the most scenic drives any of us would ever encounter. A brief few hours in Valley of Fire State Park, and one jaw-dropping photo shoot later, we were back on the road, pushing toward St. George, Utah with one hell of a nighttime adventure ahead of us. We had successfully beaten the rain, but it was now pitch black, and upon entering our cabin were shocked to discover that the power was off and that our cabin had been littered with all manner of bizarre oddity, including massive steer skulls. Fortunately, we were able to quickly find and flip the main breaker, and with the power on morale immediately improved, giving us the room to calm the kids and hit the sack for a few hours of sleep. 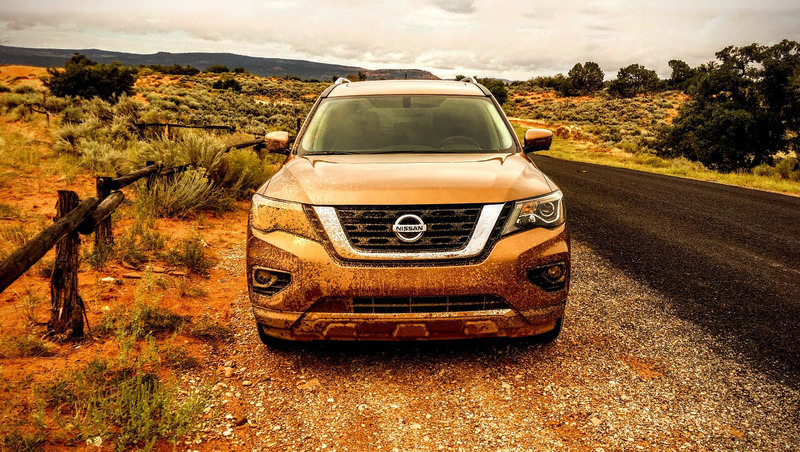 It was the next day, on our way to Zion National Park, that the Pathfinder truly began to prove its worth, as it went from luggage-hauling pack mule to mud-slinging animal in no time flat. Up to that point the SUV had been all intuitive cruise control and squeezing as many miles out of every tank as possible, which was par for the course considering the amount of interstate time we had endured. But when Nissan’s navi accidentally sent us down a road that was little more than a mud-rutted slosh fest, curiosity got the best of me, and I engaged 4×4-i (Intuitive 4WD), with the expectation that the vehicle would figure out the rest. 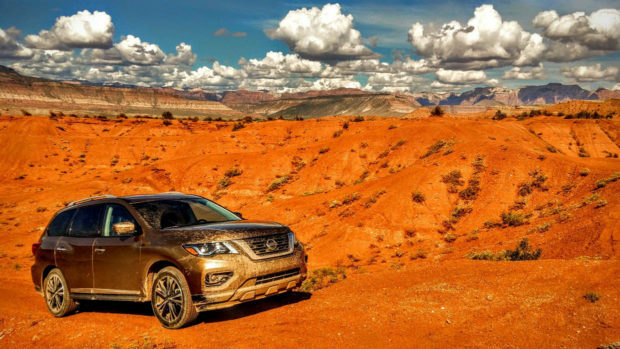 Unlike other SUV options out there, the Pathfinder continues to put off-road agility at the forefront of its sales pitch, and on that mud-covered road in Utah that day, it more than lived up to its namesake. We didn’t just find paths, we destroyed them, and after emerging victorious on the other side it suddenly became apparent that the road we had just gone down was the same one I traversed in the Range Rover Discovery earlier that year. Even on all-season tires the Pathfinder had done a smashing job of maintaining traction and slinging mud, and if it weren’t for time constraints I would have happily turned around for another go. By this point I had decided that cleaning the mud off the lights was going to be the only tidying-up we would do, allowing the Pathfinder to wear the remnants of our lengthy off-road excursion like war paint for the remainder of our trip. Lights wiped clean, we proceeded to tackle our next challenge: Navigating Zion National Park. 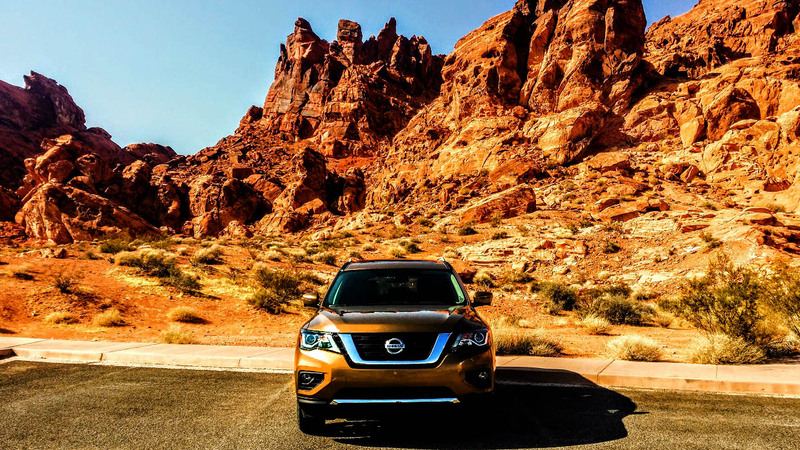 With its winding roads and scenic overlooks, my decision to enter through the far less traveled Eastern gate and double back proved to be a wise one, allowing ample space to test the SUV’s suspension, all while providing ideal spots for photo shoots. 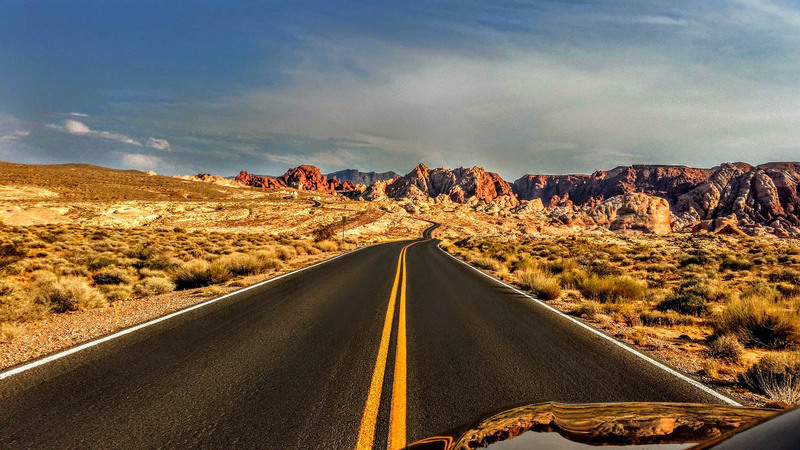 It was here, on these tight hairpin turns that the Pathfinder’s biggest weakness emerged. 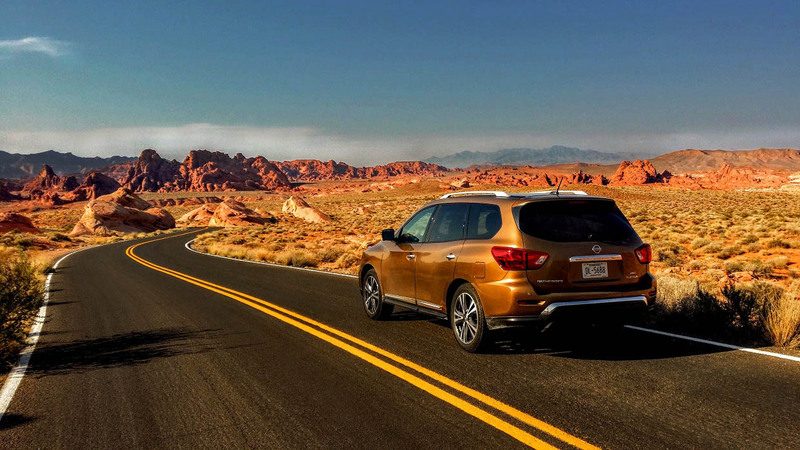 Despite having a revised suspension setup that is 11% stiffer out front and 7% tighter in the rear (resulting in a 10% reduction in body roll over the outgoing model), the latest Pathfinder is far from feeling planted. Electrically-assisted understeer may have been minimized, and roll may have been reduced, but on winding roads this SUV still suffers from noticeable slop in both the steering and handling departments. Fortunately, on the western end of the park, our fair-weather navi took us down yet another road that turned into an off-road course, this time exposing us to a desert-like, rock-strewn dust bowl. It was time to test the other end of the Pathfinder’s Intuitive 4WD setup, and that meant going low and slow. Half an hour later we had successfully completed a creek bed crawl, and with downhill descent control disengaged, it was time to climb a small plateau, for the 4×4 low-end lock option had been begging to be put to use. By bumping torque levels to new heights and engaging differential locks at low speeds, the Pathfinder had been able to best every challenge the Utah landscape had to offer that day. 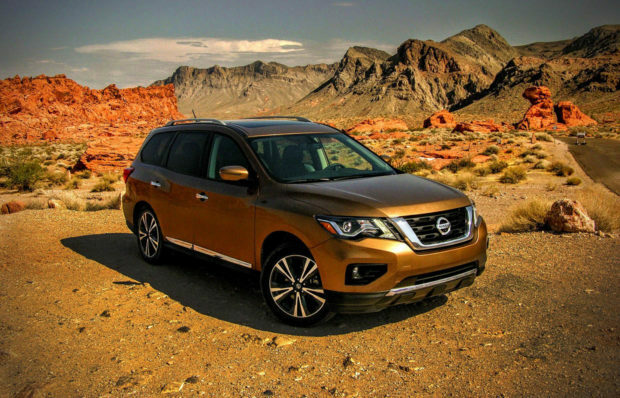 The added visibility from Nissan’s “Around View” monitoring system had also proved crucial in our success, allowing clear views of the passenger side and the front/underside of the SUV. This second camera proved to be incredibly useful when climbing the plateau, for near the summit all we could see through the windshield were the heavens, and having eyes out front removed any guesswork on our end. 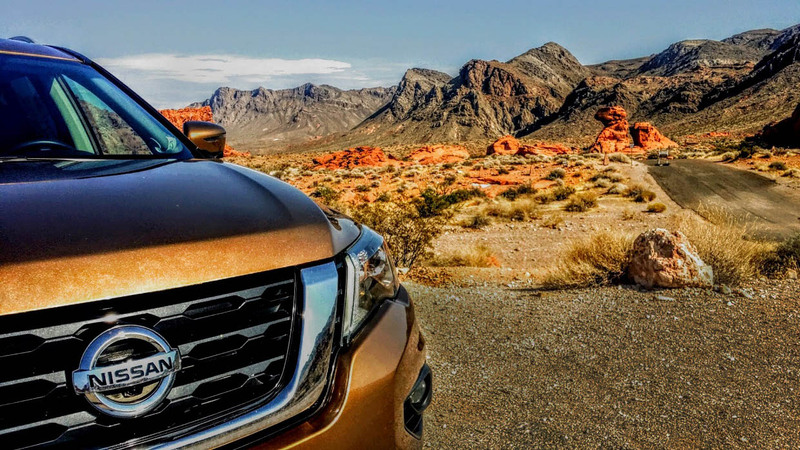 Simply put, Nissan continues to crush with its off-road camera system, regardless of whether you use it for parallel parking or for pounding trails. Back on the road, we pressed toward my old hometown of Durango, Colorado, where local food, bike rides, craft beer, and much more awaited us. Revisiting a place that I once called home was a very surreal high point of the trip for me, and I would have loved to stay longer. But with the end of the road in sight, and a quick trip to the local hot springs on the itinerary, it was time to gear up once more and head north toward Denver. 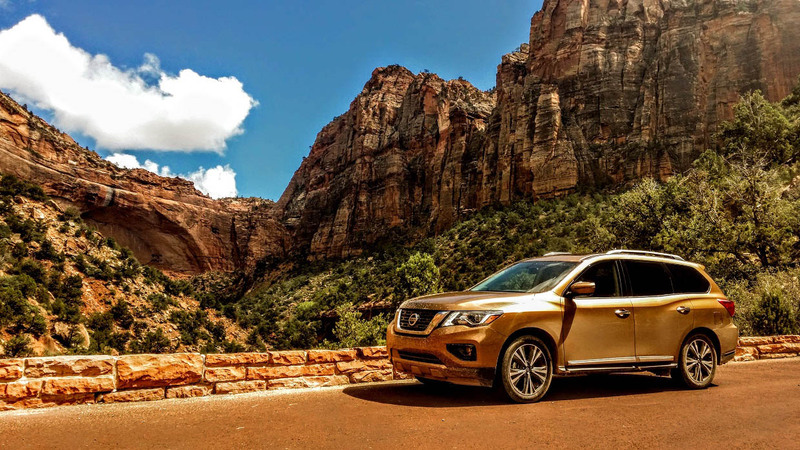 Threading our way through the mountains north of Pagosa Springs, we snapped scenic panoramic shots with our phones and enjoyed stunning views of the precipices overhead courtesy of the Pathfinder’s panoramic rear roof. A mandatory midday soak at the hot springs complete, we edged our way into Denver’s thriving interstate traffic, and prepared for the inevitable flight home. All told, our trip had taken us over 1,000 miles, through five states, over countless mountains, and into numerous kinds of desert landscapes. 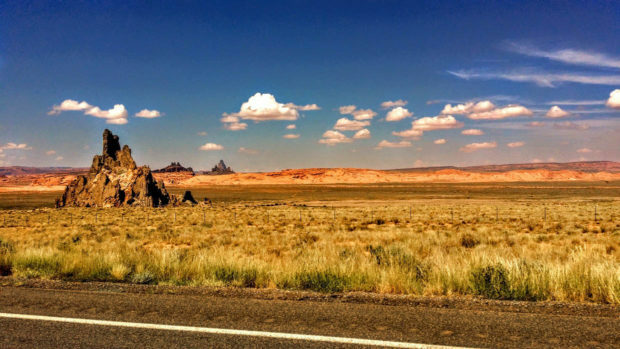 It was an eye-opening experience for my in-laws, whom had never seen much of the western U.S. save for Los Angeles and Vegas, wholeheartedly admitting that Colorado was their favorite state of the bunch. 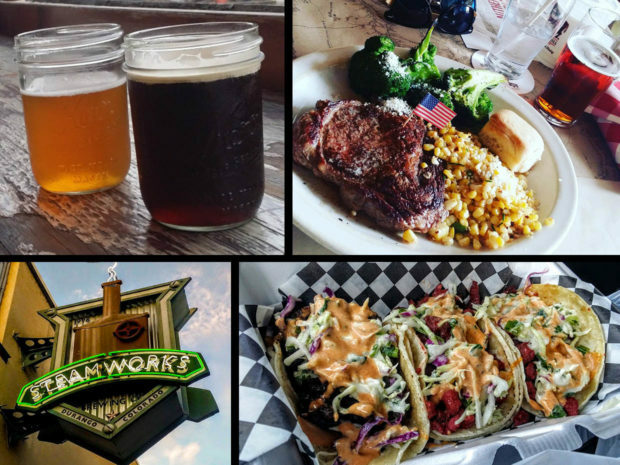 This was likely due in part to all of the bison steaks, craft beer, and taco stands we encountered while there, but we’ll save that diatribe for another time. 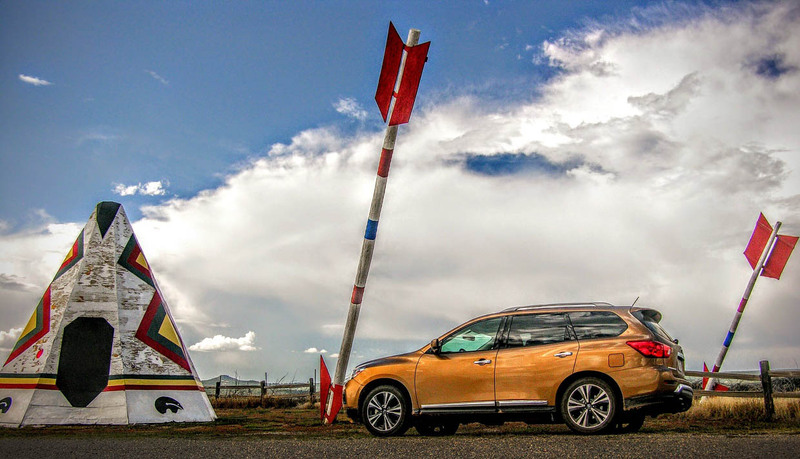 Our trusty Nissan Pathfinder had done a stellar job of getting us from LA to Denver, and outside of the oil dipstick popping out deep in the Rockies (elevation pressure can do that sometimes), had remained a reliable and lovable steed the entire time. Could it use the latest round of tech out of Infiniti for navigation and gauge cluster enhancements? Without question. Does it fall short in regard to handling and steering precision especially when tight corners appear? Definitely. But after spending lord knows how many hours behind the wheel of a Platinum version I can attest that there is way more to like about this vehicle than there is to dislike. 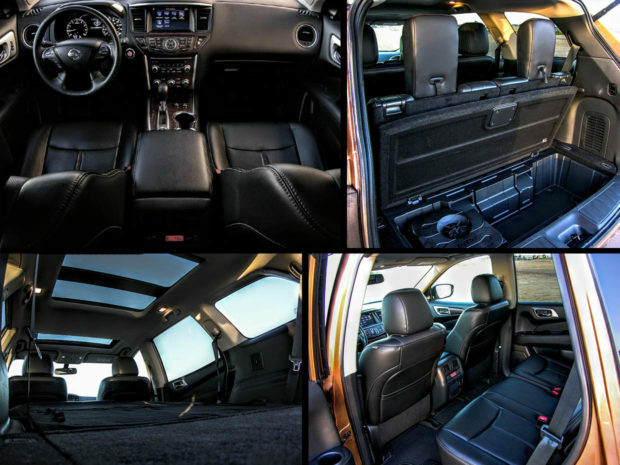 With 6,000 pounds of V6 towing prowess, undeniable off-road enthusiasm, a smooth CVT, and a 2WD setting for fuel gains on the freeway, the mechanical end of the heavily revised Pathfinder is plenty capable. 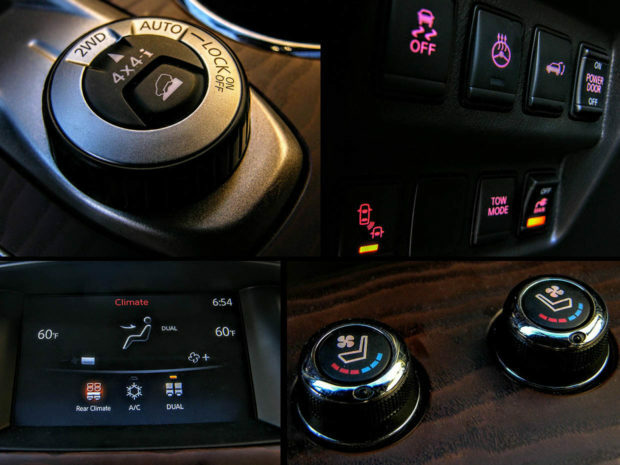 Platinum versions also come with all of the heated/vented leather amenities you can imagine, a 13-speaker Bose audio upgrade, 20-inch wheels, and every safety tech option the automaker offers. It also features an “EZ Flex Seating System,” which means getting to the third row and re-configuring the vehicle’s interior is easier than Richard Simmons at a Chippendales convention.